Is the DI move for the Sioux going to be good or bad? Are the teams going to get better or worse? What about girls basketball? they aren't that bad are they? I think it really depends on what the coaching staffs of the various sports do with the scholarship money they have to offer. good for them, but if you follow local talent it those programs will become even less recognizable. I've seen it with NDSU. Sure the program has ramped up, but I'm more interested in Dakota athletes, so I follow DAC now more than I did 3-5 years ago. Maybe now some DAC schools won't have to recruit out of the area as much? UND girls basketball will do alright. Their football team can compete also in D1AA football as for the other sports i dont know. their mens basketball team is absolutely horrible. i think it will be okay in some sports and horrible in others. Last edited by Roughrider on Sat Mar 31, 2007 7:13 pm, edited 1 time in total. heck yes. heyyyy sioux siouxxxx! The thing you have to remember is that, during NDSU's last 2-3 years of D2 Men's Basketball, they were a .500 at best team. They were no where near the top of the NCC. For football, NDSU qualified for the playoffs once or twice in the last decade of their D2 existence. A just a few years ago they were a 2-8 D2 team. The women's basketball program, not very successful right now, was looking up in the standings during their last few years of D2 as well. My point is not to turn this into another Bison/Sioux trash talk. My point of this is that there' s no reason to believe that UND wouldn't be at the same level as NDSU in a year or two, provided they transition right. NDSU had a remarkable transition that was matched by no one. UND definitely has the assets and the opportunity to do the same. I don't get all this NDSU looking forward talk when they darn well know that UND has the capability to use the same. Remember, UND is looking up and forward and not looking towards the DAC. Also, I'm not trying to bring NDSU down. I'm one of those rare Sioux fans that has a tremendous amount of success for NDSU, but my academic goals were more consistent with what UND had to offer rather than NDSU. I'm just trying to provide a "remember where you came from" dose. We should just be gracious that the state of ND will have two outstanding representatives in D1 college athletics and can be given the opportunity to compete with anyone, with the exception of course of the BCS teams of course. Last edited by the low down on Sun Apr 01, 2007 4:42 pm, edited 1 time in total. This message board will not be a place for bashing NDSU or UND. If that is your intention, then please post somewhere else. I'm tired of hearing that crap, and there are plenty of other websites where you can do that. word. they will both be doing very well given a couple years under their belt. very true. 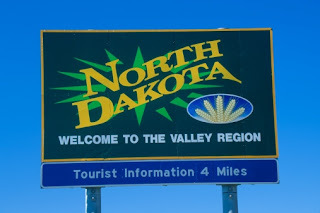 i am not only a Sioux fan, but i am more of a NORTH DAKOTA fan. NDSportsFan wrote: This message board will not be a place for bashing NDSU or UND. If that is your intention, then please post somewhere else. I'm tired of hearing that crap, and there are plenty of other websites where you can do that. I hope it wasn't my post that prompted you to write that. I wanted to make it clear more than once that it wasn't my intentions to start a meaningless trash talk. I guess I was more interested in proving that, if done right, UND can share the same success. I can't stress enough my sense of pride coming from a state that can produce that kind of athletic success, regardless of which school does it. I too am sick of going to the other sites and reading the endless tug-of-war. Last edited by the low down on Mon Apr 02, 2007 3:55 pm, edited 1 time in total. Yeah, it was not a reference to your post, it was just a general announcement to others. I've addressed it in the past, but there are lots of new members since then. And I don't have a problem with people seriously discussing UND's move to DI, or NDSU's transition.